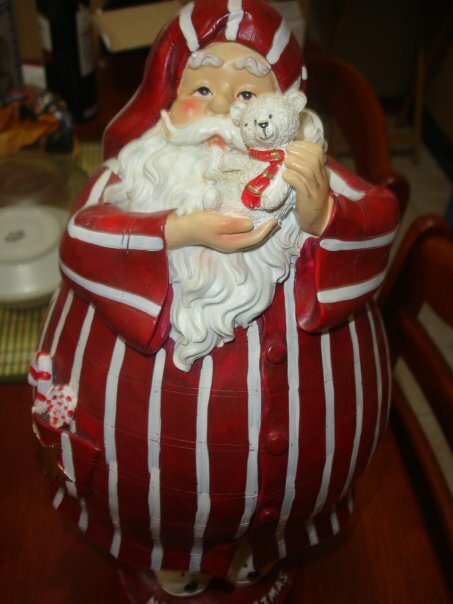 The Christmas Season in the Philippines is more than a month-long celebration and festivities for most Filipinos. It is that time of the year when families are complete for Noche Buena or Christmas Day, family reunions, or attending get-together with friends, or school reunions. It is really the busiest time of the year for everyone. 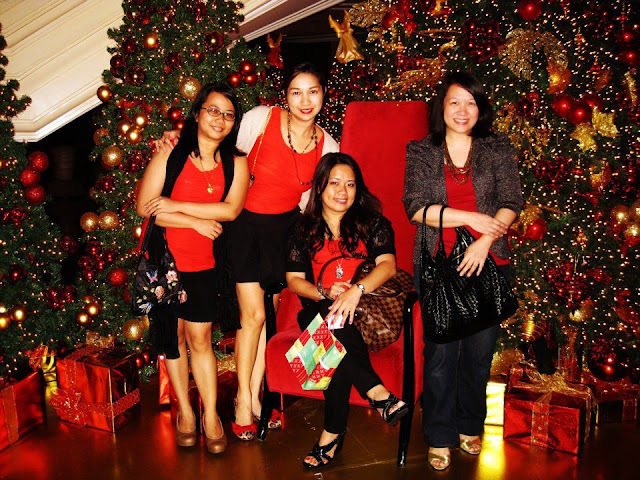 Of course, our home is also not spared from the Christmas festivities since it is our turn to host my husband's annual family reunion this year, and several group of friends also expressed interest to visit, including a balikbayan cousin. Okay, time to prepare! Hahaha. I usually think of a different theme when it comes to the dishes that I am preparing for the Christmas get-togethers so you can just imagine how hard it is to shop for the ingredients. I remember a time when my hubby volunteered to help me buy the ingredients and I think you want guess the rest of the story. Some ingredients were missing from the list or he substituted an ingredient with another brand that I am not really fond of. I am a bit of an OC when it comes to the ingredients that I use in my kitchen as well as how I prepare the tableware. I mean, I inherited tons of tableware from my mother and grandmother and I love using them on special occasions such as Christmas. And of course, having a nice tableware without some nice table napkins is not acceptable. Sanicare's Liwanag Christmas Edition boxes is especially designed by Alex Eduque, who got her very Pinoy inspiration from the "parol" or Christmas lanterns. 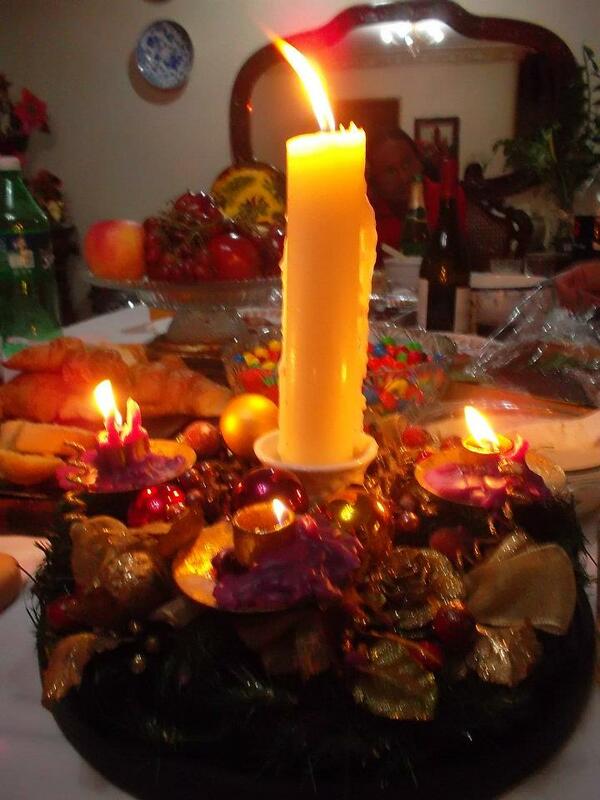 Some may not be aware of it, but our Christmas lantern has a very local characteristic unlike the Christmas lanterns of other countries. Our parol is made from bamboo sticks and Japanese paper. It also happen that Alex is one of the founders of MovEd (Molding Optimism and Values Through Education), which aims to provide quality education to pre-schoolers in underprivileged communities in the Philippines. 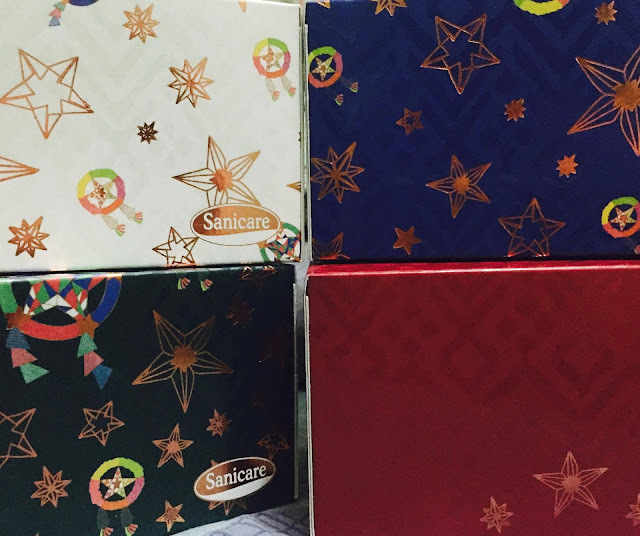 Aptly called the "Liwanag" Christmas Boxes, this special holiday season tissue and paper towels by Sanicare is sure to add a touch of the traditional Filipino Christmas spirit in one's home. Aside from the lovely "Liwanag" boxes, Sanicare also has festive paper towels that will surely make anyone's kitchen have that Christmassy-feel. 1. 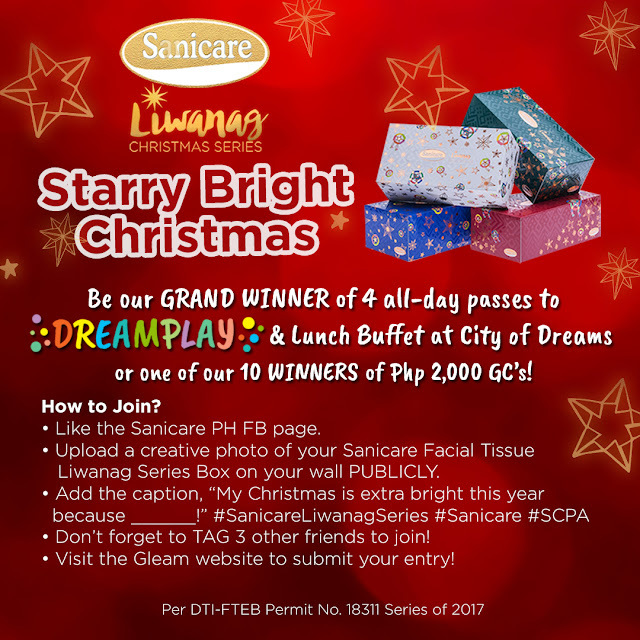 Participants need only to post their most creative photo on their Facebook account featuring the Sanicare Facial Tissue Liwanag Series Box. 2. 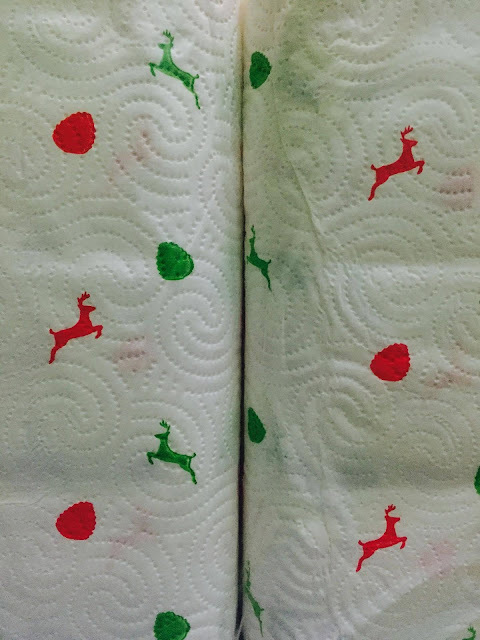 Entry must include a caption that begins with the phrase, "My Christmas is extra bright this year because ______! 4. Once posted, the participant must go back to the Sanicare PH Facebook promo post and click the link provided in order to submit the entry. - The promo will run from November 22 to January 1, 2018. Deadline of submission is on January 1, at 6pm. - Winners will be announced on January 15, 2018 on the Sanicare PH Facebook Page. - The Grand Prize Winner will be given four (4) all day passes to Dream Play and Lunch buffet for four (4) at The Cafe at the Hyatt City of Dreams Manila. - 10 consolation prize winners will also be chosen to each receive a 2,000 peso Sodexo Gift Certificate from Sanicare. - Visit Sanicare PH Facebook Page for more details about the promo. - DTI Permit No. 18311 Series of 2017.